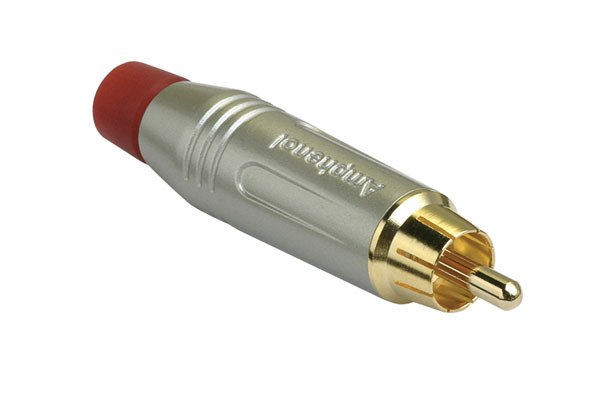 ProFi RCA for professional and High-End use. Grounds first for silent, pop-free connection. 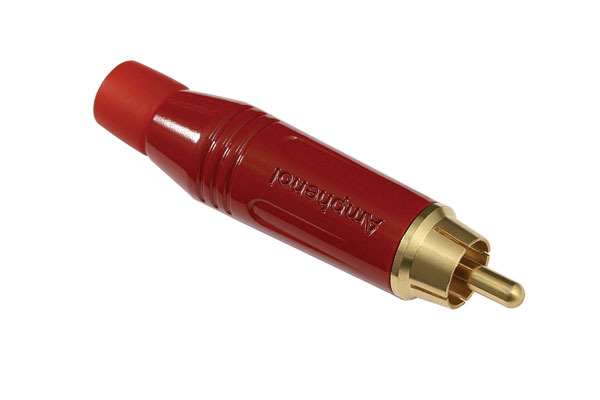 RCA Socket Gold Chassis Mount. RCA Socket for Chassis Mounting, Circular front. RCA Socket to RCA Socket for Chassis Mounting. 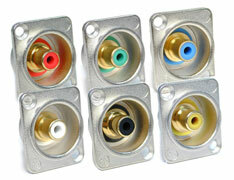 Flush Mount RCA Gold-plated Socket. 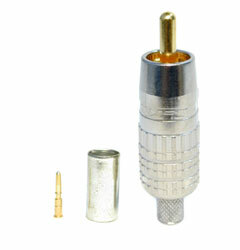 D-size shell, solder termination. Digital audio S/P-DIF signals and High-End audio interconnects. DC to 200MHz bandwidth, VSWR <1.1, return loss >26dB. Please note, these connectors may not work properly unless a CANARE brand tool is used. Call us for pricing on the crimp tool and a suitable die.